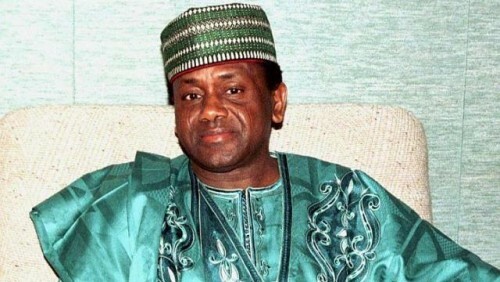 A Singapore connection to US$2 billion (S$2.5 billion) which may have been swiped from his country's coffers by late Nigerian dictator Sani Abacha has came under scrutiny in a London court. The court has ordered a continued freeze on assets sought by the US government which are linked to 11 parties, including two in Singapore - Blue Holdings(1) and Blue Holdings(2). In 2012, the Nigerian government asked for US assistance to get back the stolen money, under the UN Convention against Corruption. More than US$1.2 billion has been recovered by the west African country so far. The United States alleges these assets originated from corrupt misappropriations by Abacha and his relatives or associates which were then laundered and are liable to be seized. The US is seeking the injunction in a British court as five of the 11 are London-based banks and financial institutions alleged to be holding assets for six defendants. No allegations of wrong-doing have been made against these institutions. The US had applied to renew an injunction first issued in February until a court hearing in the US rules on the theft allegations. Abacha ruled Nigeria as de facto president from 1993 until he died, amid murky circumstances, of a heart attack in 1998 aged 54. The US claims the money was stolen in a "Security Votes Fraud" from the Central Bank of Nigeria under cover of orders from Abacha. The orders were falsely approved on the basis that the money might be needed for emergency security reasons. In judgment grounds released on Wednesday, British High Court judge Richard Field held it "not in dispute" that proceeds from the fraud could be traced to assets held by Blue Holdings, which lists its address as Penang Road. The assets were in accounts at two London wealth management firms. The 11 defendants include the late leader's son, Mr Mohammed Sani Abacha, 46, and Mr Abubakar Atiku Bagudu, 52, who is an associate of both father and son. Other parties include the Ridley Group and Mecosta Securities, located elsewhere. The US alleges Mr Abacha and Mr Bagudu took assets belonging to Nigeria on the late president's orders, or on their own, out of the country, and now control them. Mr Bagudu is a senator in the Nigerian Parliament. His brother Ibrahim is director of Blue Holdings - investment holding companies with total share capital of almost ¤100 million (S$172million) according to company records. The two companies are owned by a trust for the benefit of Mr Bagudu's family, said the judge. Blue Holdings' lawyer, Queen's Counsel Paul Stanley, argued among other things that it would be "wholly inconsistent" for the US to forfeit the assets of Blue Holdings since Mr Bagudu had already entered a settlement with the Nigerian government on behalf of the Nigerian people. But Justice Field ruled that even if there were a settlement agreement, it would not be "inexpedient" to keep freezing the assets, "in order to hold the ring", until the outcome of the US court case is determined. He said it was for the US court to decide if the settlement is a defence or if the assets should be part of the claim. "Corruption, like other types of fraud, is a global problem and it and its consequences are only going to be dealt with effectively if there is cooperation and assistance not only between the governments of states but also between the courts of different national jurisdictions," said Justice Field. Blue Holdings, via company secretary Lisa Cumberbatch, declined to comment when contacted by The Straits Times.